Tisha B’Av: Why Are We Still Mourning? 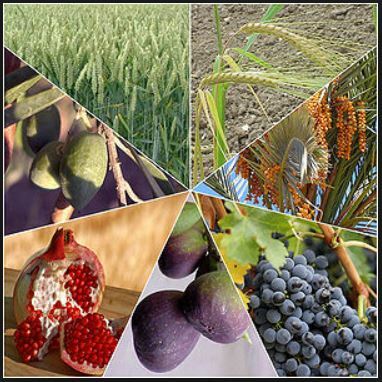 This week’s Torah portion is Devarim, which begins the fifth and final book of the Torah. This book (Deuteronomy), is written from the perspective of Moses, and summarizes much of what the Torah discussed earlier. At the same time, it also introduces many new mitzvot, and reveals deeper insights into the Torah’s previous narratives. 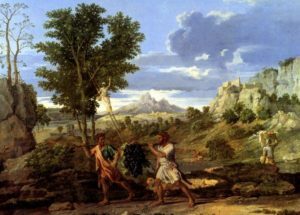 For example, while the book of Numbers told us that Moses was forbidden to enter the Holy Land because he disobeyed God in striking the rock, here we are told that Moses was forbidden to enter the Land because of the incident of the Spies! (1:22-38) How do we reconcile these differences? The answer can actually be found in next week’s parasha, Va’etchanan. Va’etchanan (literally “and I beseeched”) describes how Moses begged God to allow him to enter the Holy Land. The Talmud (Berachot 32b) states that Moses prayed so much that God actually relented and forgave him for striking the rock. However, it would have been wrong for Moses to enter the Holy Land at that time, considering that the rest of the men were condemned to perish in the Wilderness because of the sin of the spies. After all, Moses was their leader. Could a shepherd abandon his flock? Would a captain abandon his sinking ship? So, Moses didn’t enter the land not because of the rock, but because of the spies. This is all the more pertinent now with Tisha B’Av right around the corner. 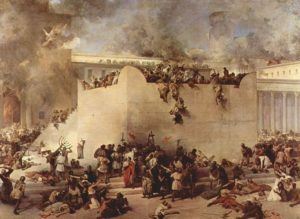 Tisha B’Av commemorates the destruction of both Holy Temples in Jerusalem, along with a handful of other tragedies said to have happened on, or around, that date – the ninth of the month of Av. According to tradition, the origins of Tisha B’Av lie in the incident of the spies. It was on that day that the spies returned from the land of Israel, and reported negatively about the people’s chances of conquering the land. The faithless nation feared and cried needlessly on that day so, it is said, God subsequently gave the nation many good reasons to truly fear and cry on that day throughout history. On the same note, when exactly were the Temples destroyed? The Tanakh tells us that “in the fifth month, on the seventh day of the month, which was the nineteenth year of King Nebuchadnezzar, king of Babylon, came Nebuzaradan, the captain of the guard, a servant of the king of Babylon, to Jerusalem. And he burned the house of Hashem, and the king’s house…” (II Kings 25:8-9) This verse suggests the First Temple was destroyed on the 7th of Av. Another verse in the Tanakh tells us that “in the fifth month, in the tenth day of the month, which was the nineteenth year of King Nebuchadnezzar, king of Babylon, came Nebuzaradan, the captain of the guard, who stood before the king of Babylon, to Jerusalem; and he burned the house of Hashem, and the king’s house…” (Jeremiah 52:12-13) The verse is nearly identical, except that this one says Nebuzaradan came on the 10th and destroyed the Temple. We have the 7th of Av and the 10th of Av, but no 9th! The Talmud (Ta’anit 29a) notes this contradiction and tries to reconcile it this way: “On the seventh the heathens entered the Temple and ate therein and desecrated it throughout the seventh and eighth, and towards dusk of the ninth they set fire to it and it continued to burn the whole of that day [the tenth].” Rabbi Yochanan goes on to say that if it were up to him, the mourning day would be the 10th of Av, not the 9th, since this is when the Temple was mostly destroyed. And what about the Second Temple? Josephus lived through its destruction, and later wrote about it in detail. He says that it was destroyed on the 10th of Av, and writes that the Jews mourn its destruction on the same day that they mourn the destruction of the First Temple. However, he seems to admit that he is uncertain about the exact dates that the Temples fell. What does the Talmud say? It, too, is uncertain, but concludes that since “good things tend to happen on good days, and bad things on bad days,” it is assumed that the Second Temple was destroyed on the same day as the First Temple! 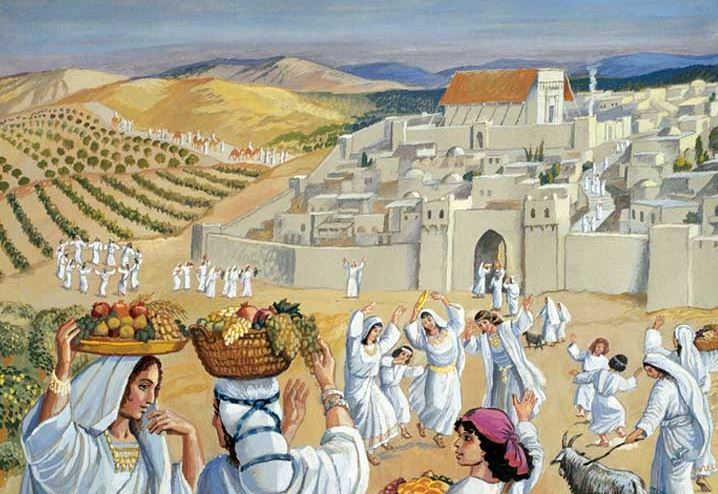 This year, Tisha B’Av falls on Shabbat, so the fast is postponed, appropriately, to the 10th. 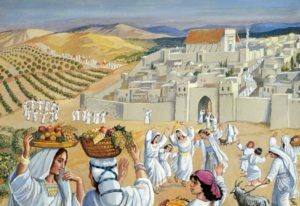 While Rabbi Yochanan felt that the 10th is the correct day to fast anyway, Rabbi Yehudah HaNasi – the great redactor of the Mishnah – wanted to have the fast of Tisha B’Av abolished completely! Some say this was only when Tisha B’Av falls on Shabbat and needs to be postponed, while others say he wanted it gone entirely (Megillah 5b). This idea has been echoed in modern times. The primary reason for mourning on Tisha B’Av is because of Jerusalem’s destruction and the Jewish people’s exile. Today, the Jewish people have returned to the Holy Land and have rebuilt Jerusalem. While there’s no Temple just yet, we are free to travel to, and settle in, the Holy City whenever we wish. Why are we still mourning? Perhaps Rabbi Yehudah felt the same way. In his day, Jews had also returned to Jerusalem and enjoyed relatively good terms with the Romans. Rabbi Yehudah himself was friends with the Caesar known in the Talmud as ‘Antoninus’ (possibly the Emperor Marcus Aurelius, or maybe a local Roman governor). Meanwhile, far worse tragedies have befallen the Jewish people since then: crusades, inquisitions, pogroms, the Holocaust, and the list goes on. Why focus on the temples and Jerusalem when there are more recent, greater tragedies? Indeed, former Israeli Prime Minister Menachem Begin intended to combine all the days of commemoration, and move Holocaust Remembrance Day and Israel’s Memorial Day to Tisha B’Av. Perhaps this is what Tisha B’Av should be: one day to remember all of the suffering that has troubled the Jewish people, and all the suffering that continues to plague the world. A day to remind us that Mashiach has not come yet, the Temple is not yet rebuilt, and the world is not yet whole. A day to ask ourselves: what exactly are we doing to hasten the arrival of that magnificent, forthcoming time? What are we doing that will finally put an end to all the mourning? 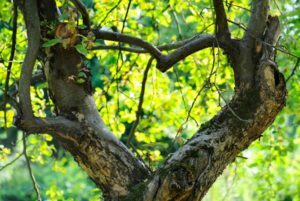 Tisha B’Av should be a day not about drowning in the sad tears of the past, but about actively working towards the happy tears of the future. This entry was posted in Holidays and tagged Antoninus, Berakhot (Tractate), Deuteronomy, Devarim, Ezekiel, First Temple, Grape Harvest, History, Holocaust, Israel, Jerusalem, Josephus, Makkot (Tractate), Mashiach, Megillah (Tractate), Memorial Day, Menachem Begin, Moses, Mourning, Nebuchadnezzar, Nebuzaradan, Prayer, Rabban Gamliel, Rabbi Akiva, Rabbi Elazar ben Azariah, Rabbi Yehoshua ben Chananiah, Rabbi Yehudah HaNasi, Rabbi Yochanan, Rabbi Yose bar Chanina, Second Temple, Shabbat, Sin of the Spies, Ta'anit (Tractate), Third Temple, Tisha B'Av, Tu B'Av, Va'etchanan, Wilderness, Yom Kippur on August 10, 2016 by Efraim Palvanov.